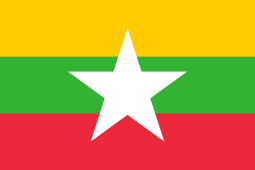 Pastor Philip Thang operates the Word Bible Seminary in Yangon with 20 students. He is now using SLM’s WorldWide Bible Institute curriculum. Pastor Philip is also involved in encouraging new church planters on the border of Bangladesh, as well as operating an orphanage in Yangon. He is married and the father of 3 children. Bible lessons are being printed at the SLM Office in Yangon in Burmese and English. Initial distributions were made to almost 500 children in the Burmese and English languages. Scores of children made professions of faith in Christ. Printing and distribution of the Bible lessons for both adults and children is on-going.